Bigger is better, right? Well, someone at Infiniti was thinking just that when they designed the QX80, the Japanese luxury automaker's largest and most advanced SUV. 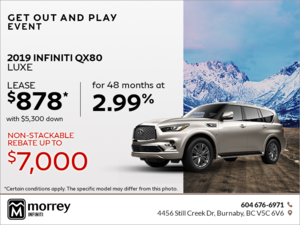 Larger than life in both design and amenities, the 2016 Infiniti QX80 is a gentle giant in all the right ways, offering up a refined ride, plenty of interior space, and a host of advanced safety features buyers want in their premium full-size SUV. If there’s something the QX80 has in spades (besides size), it's character on the road. Few other SUVs are as instantly recognizable as the 2016 Infiniti QX80. 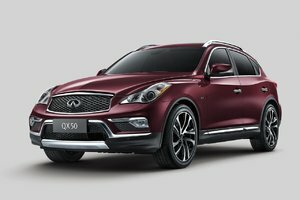 The bulbous front grille boldly sports the oversized Infiniti symbol atop a distinctive and classy mesh grille. Stretch your gaze back from the front end and you’ll spot a sporty shoulder line with flared wheel arches and chrome-lined air intakes just below the side mirrors. Angular lines flow to the large rear section where you’ll find the QX80’s sleek rear taillight design. 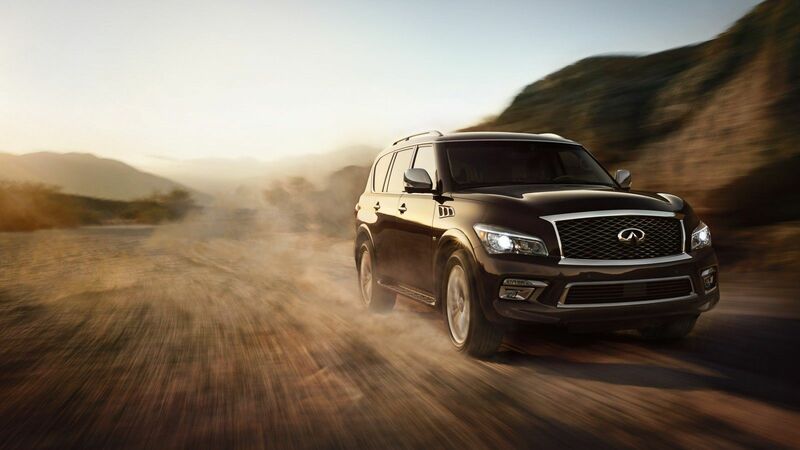 As big on design as it is in size, the QX80 makes a serious statement on the road. Inside, owners will be wrapped in a luxurious cabin built using high-quality materials such as fine leather for the seats and most other surfaces, and genuine wood trim on the center console and upper portion of the dashboard. The 2016 Infiniti QX80’s interior is where you want to be – all the time. Whether in the driver’s seat or the third row, any and all seats are the best in the house in the QX80. With three models available, the QX80 offers seating for either 7 or 8 passengers, depending on the version you have chosen. And regardless of which configuration you choose there’s plenty of head and leg room for everyone as well as 470 litres of cargo space with all seats in place, and 1,405 litres with the third row folded down. The 2016 QX80 is powered by a 5.6L V8 engine that delivers 400 horsepower and 413 lb-ft of torque. Using a 7-speed automatic transmission which sends the engine's ample power to all four wheels, the 2016 QX80 isn’t just a blast to drive around town and in the country, it can also tow up to 8,500lbs. Weekend trips to the cottage with the family boat? Not a problem. You can even bring the neighbours along with you (because there’s bound to be room left in the cabin for everyone and their gear). 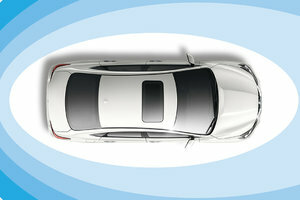 When it comes to safety, the QX80 protects your family with advanced driver assistance features such as forward emergency braking, predictive forward collision warning which scans both the vehicle directly ahead of you as well as the next vehicle in front, lane departure prevention, rear collision prevention, and blind sport monitoring and warning, among other active safety systems. 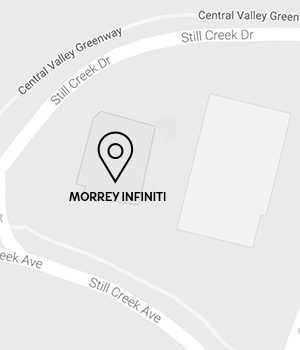 To find out more about the larger-than-life 2016 Infiniti QX80, head down to Morrey Infiniti today to speak to one of our experts. And don’t forget to book a test drive as well.